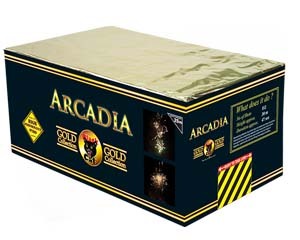 New for 2017 from Black Cat Fireworks the Arcadia has a wealth of amazing firework effects with screeching, screaming tadpoles which burst into big red starbursts, then into green starbursts. The screaming tadpoles then burst into multi directional giant silver palm bursts with whistles, into the finale of wild manic tadpoles, palm bursts and sky filling champagne fizz. 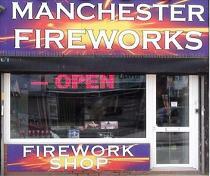 This firework is part of the premium Black Cat gold range which has been developed for higher colour intensity and bigger starbursts.